Come on the 26th, raise you EQ and start making better decisionsat work and in life. We make at least 35,000 decisions a day. Some of our decisions are more impactful than others. One of the most significant things we can do to enhance our own professional development is to learn how to make better decisions. Think about it, doesn’t every result we get in our lives somehow result from the decisions we make? Why attend this session on EQ and Decision-making? What we too often see in practice is the prevalence of many myths, superstitions, and misconceptions about what works. You’ll leave knowing the essential elements of decision making with EQ. You’ll learn how to use EQ to your advantage when making tough professional or personal decisions. You’ll begin to use EQ to overcome the analysis paralysis paradigm. It’s an experiential “hands-on” session with fun and engaging activities that will help you make better decisions, achieve better outcomes, and produce positive results. Fine-tuning your decision making process. Getting you to learn by doing when making emotionally intelligent, ethical, and effective decisions. Increasing your confidence in the decisions you make. 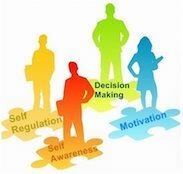 Encouraging you to include self-awareness, connection, and purpose in your decision making. How do we ensure that our decision-making is emotionally intelligent, ethical and effective? How can emotional intelligence help us make smarter decisions? Justin Trudeau says, “Openness, respect, integrity – these are the principles that need to underpin pretty much every other decision that you make.” What other essential ingredients would you add for effective decision making? 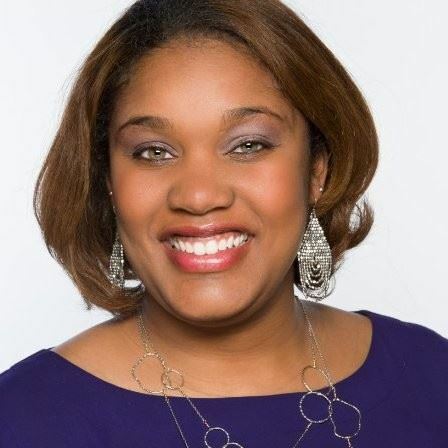 Dr. Erika Powell is a Regional Manager for Learning and Development (L&D) at Perdue Farms. In her current role, she creates and provides leadership development & emotional intelligence training to managers and executives in the manufacturing industry on the West Coast and nationwide. Her career has focused on employee training and corporate learning and development in a variety of industries, including transportation, software/technology, insurance/finance, and gas/utilities. Passionate about learning & development as well as organizational development, she has created a number of employee professional & leadership development programs, customer service training programs, compliance training for federal regulatory licenses, safety training for heavy equipment and machinery as well as product training and software systems training.